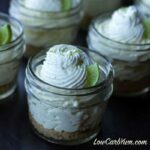 A simple New York style low carb keto cheesecake that doesn’t require any special ingredients. Eat it plain or dress it up with fresh berries. 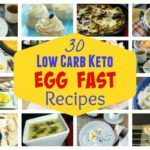 I get a lot of comments from those just getting started on low carb about the difficulty in finding ingredients. 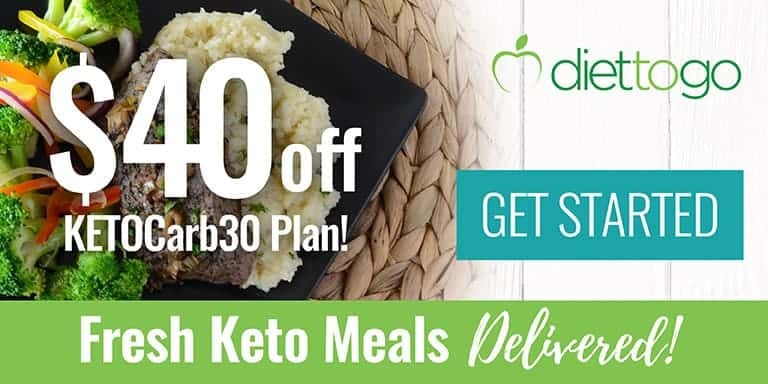 And, many find that prices for specialty ingredients to make low carb desserts are beyond their budget. However, your food bill doesn’t have to rise after moving to this way of eating. I find that I can cut costs in half without sacrificing quality just by shopping at my local Walmart or ALDI stores. Or you can save money by buying store brand products instead of name brands. 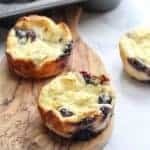 Those new to this way of eating think you need to use high cost flours and sweeteners when making low carb desserts. But, that isn’t always the case. Walmart carries a Pyure stevia sweetener which is twice as sweet as other granular sweeteners so you use less. Plus it’s very reasonably priced. 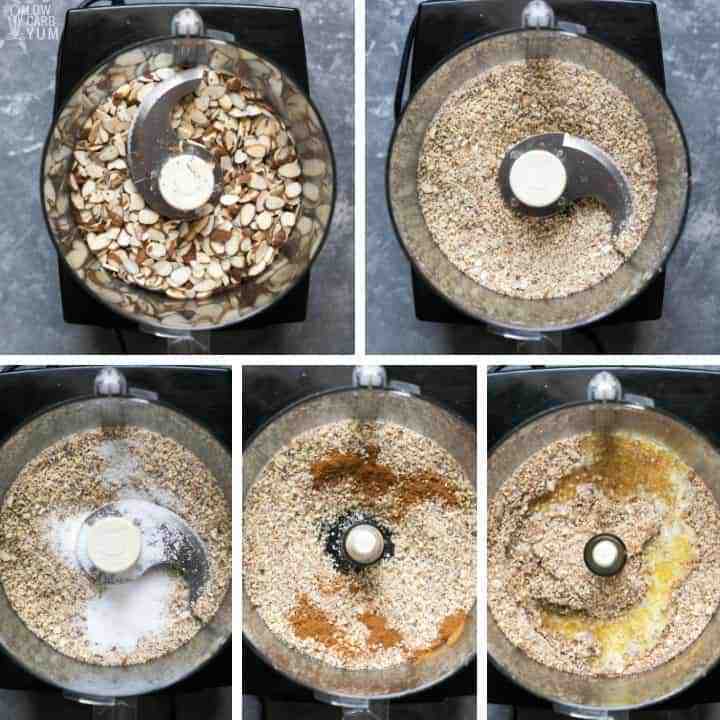 And you can make your own nut flours buying nuts in bulk. 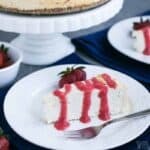 I’m going to show you how to make my favorite New York Style keto cheesecake recipe using every day ingredients. 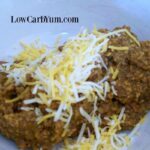 The inspiration for the recipe comes from one I found at a website called Low Carb Luxury over ten years ago. 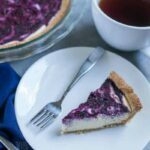 Most low carb cheesecake recipes call for almond flour or meal to make the crust. But, you can just buy whole or sliced almonds in bulk instead and grind them up. 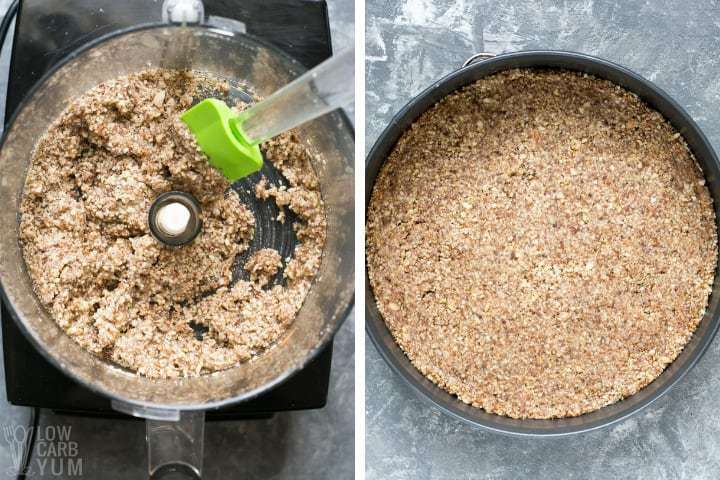 I used six ounces of regular sliced almonds in the crust that I ground up in a food processor to make my own almond meal. The amount is equal to about one and a third cup of unblanched almond flour. To make the keto cheesecake crust, I added some low carb sweetener, cinnamon, and melted butter. Then, I just pressed the mixture into a standard glass bottomed springform pan. Which keto sweeteners are best? When buying a spoonable stevia or monk fruit sweetener, read the ingredients to see what the extract is mixed with. Both monk fruit and stevia are much sweeter than sugar so a bulking ingredient is added. 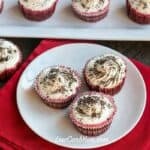 The best granular monk fruit and stevia sweeteners for baking use erythritol as the filler ingredient. Erythritol is a sugar alcohol shown to have no impact on blood sugar. Avoid any sweetener containing dextrose or maltodextrin because those are sugars that can raise blood sugar. 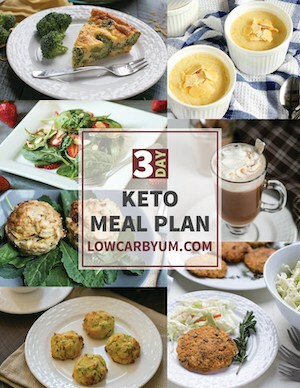 If you’re new to a keto diet, be sure to check out my post on the best low carb sweeteners. It compares many of the natural based sweeteners that can be used. 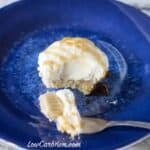 Making the filling for this yummy low carb keto cheesecake is almost as easy as the crust. 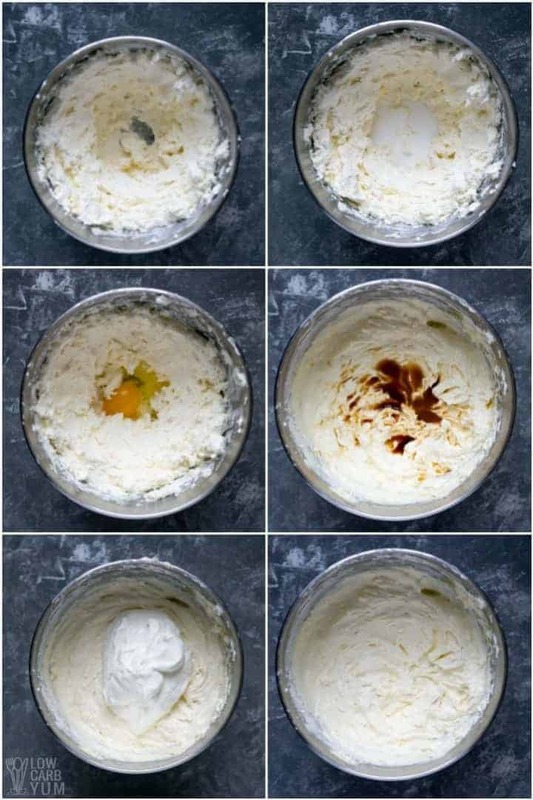 You simply add each ingredient to the mixing bowl beating on low after each addition. The cheesecake does need to bake for about an hour. And, after the top has browned, it should be left in the warm oven for another hour. 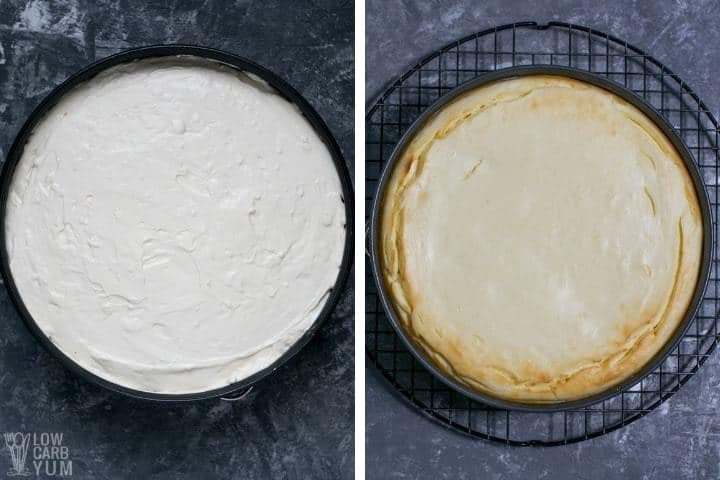 Then, the cheesecake is removed and allowed to cool to room temperature before refrigerating. It should be refrigerated for at least a day before serving. 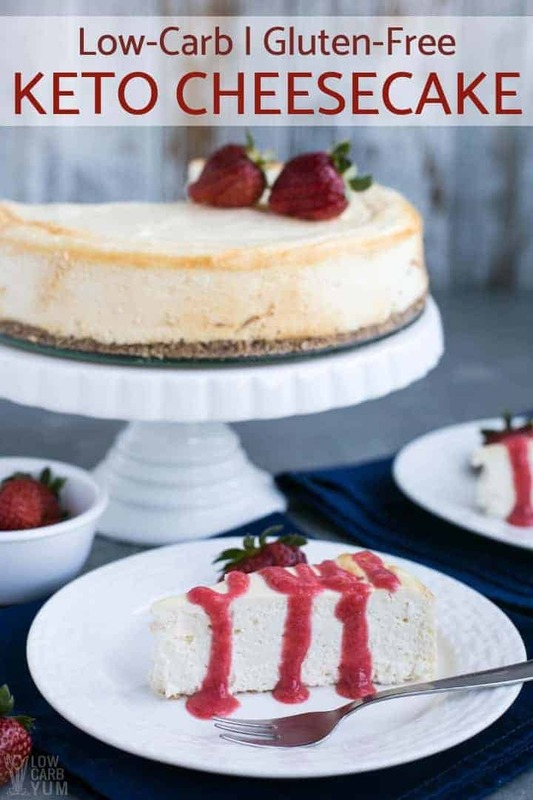 The result is a subtly sweet cheesecake that should serve at least 16 people. It is a tall cake so a thin slice is very filling. 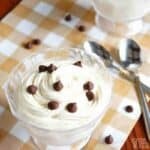 And, you can freeze some of it for later! If it weren’t for the high carb crust and sugar in the filling, a standard New York cheesecake would have minimal carbs. 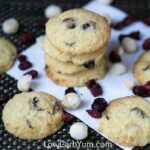 Replacing sugar with a low carb sweetener and using an almond based crust drops the carbs to just 5 grams total per slice. Since this low carb cheesecake is very rich, I recommend cutting it into 16 slices. That will ensure that you don’t go over your daily carbohydrate limit. 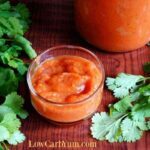 And keep in mind that adding strawberries or a berry sauce will add fructose which increases the carb count. To reduce the carbohydrates to get a nearly no carb cheesecake, simply leave it crustless and serve it plain! 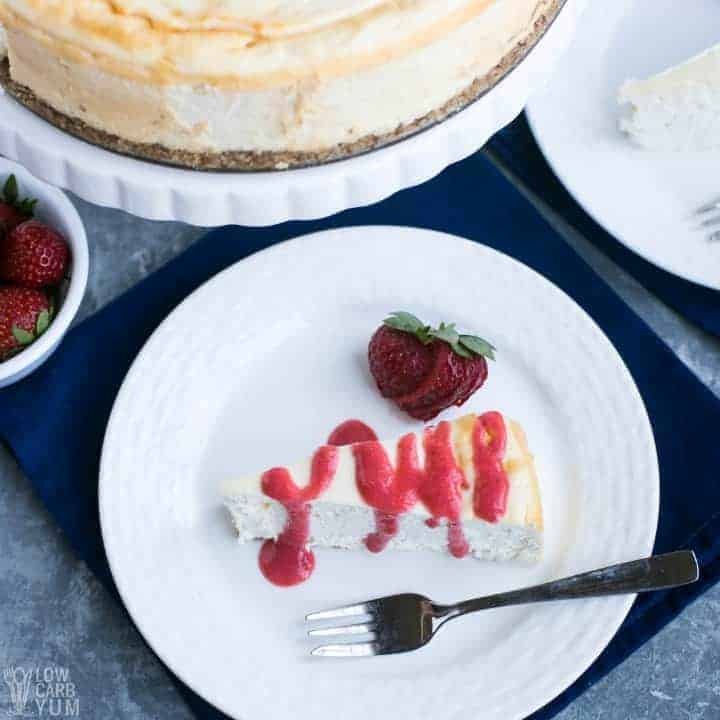 We hope you enjoy this easy New York cheesecake dessert. And be sure to leave a comment below to let us know what you think. Post updated in November 2018. Originally published February 2017.